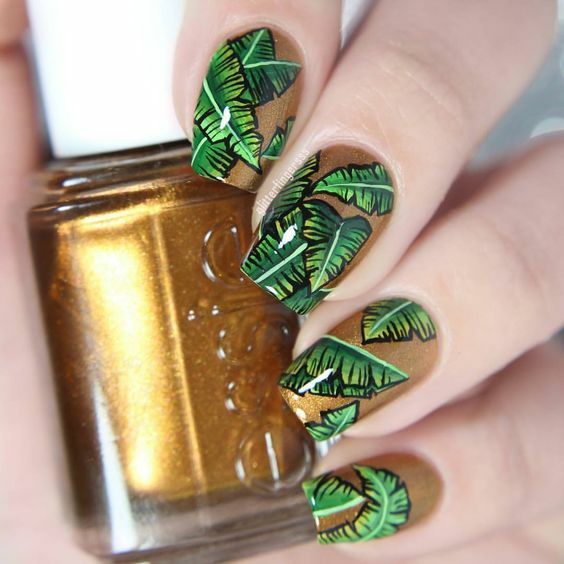 In simple science, we know that plants are alive and well when we see luscious leaves growing from it. 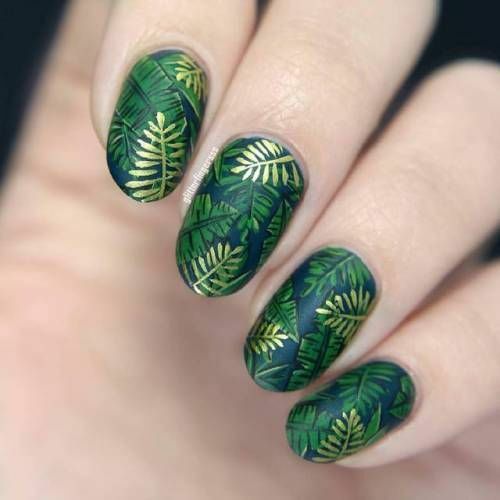 In this sense, the leaf symbolizes life itself. 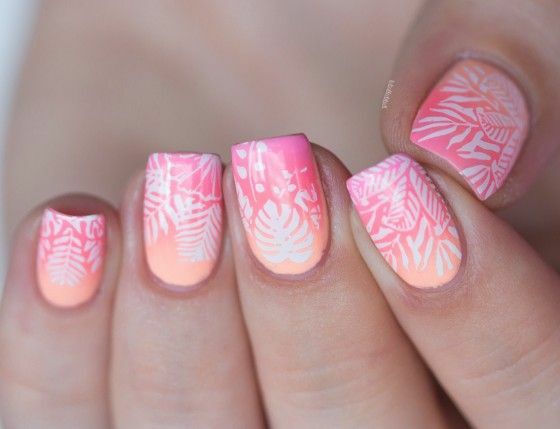 It may not be the simplest form of life, but no doubt, it is one of the most artistic and most beautiful. 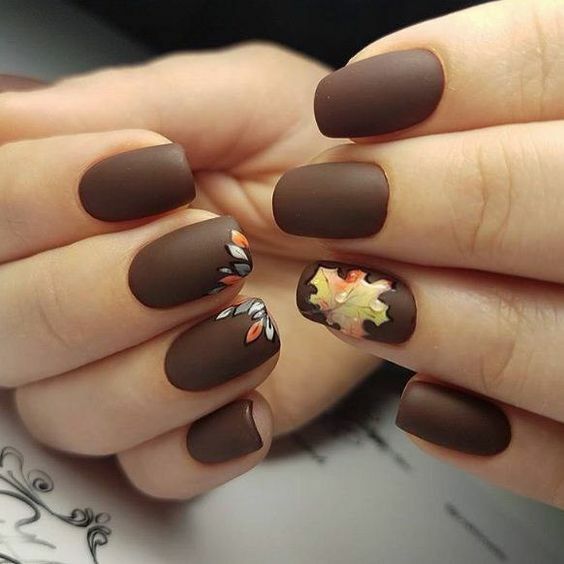 On the other hand, we celebrate life in all its forms and representation. 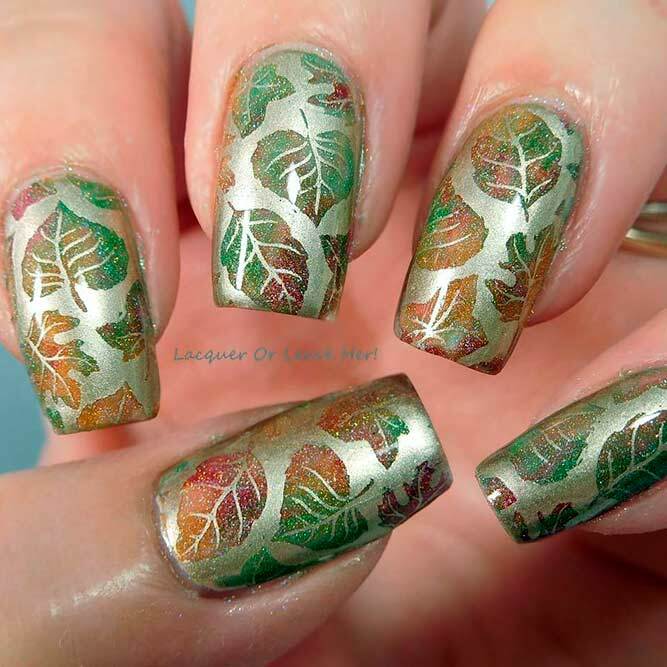 Through art, life is depicted in motion and colors, and leaf designs are one of the most obvious choice. 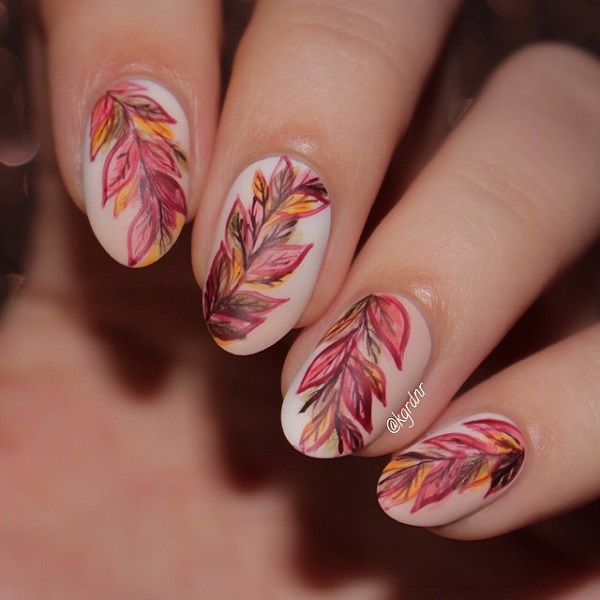 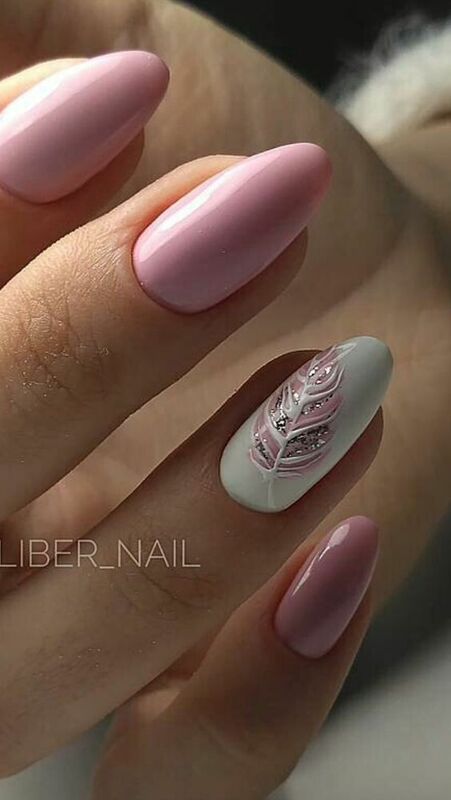 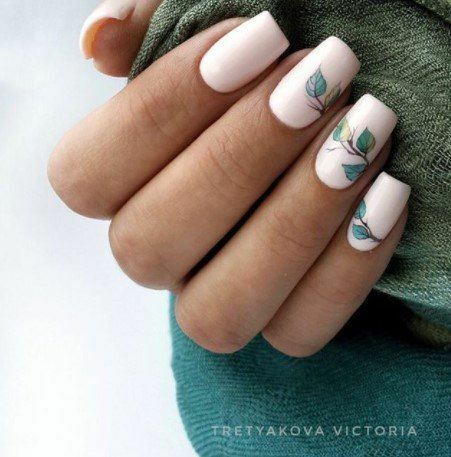 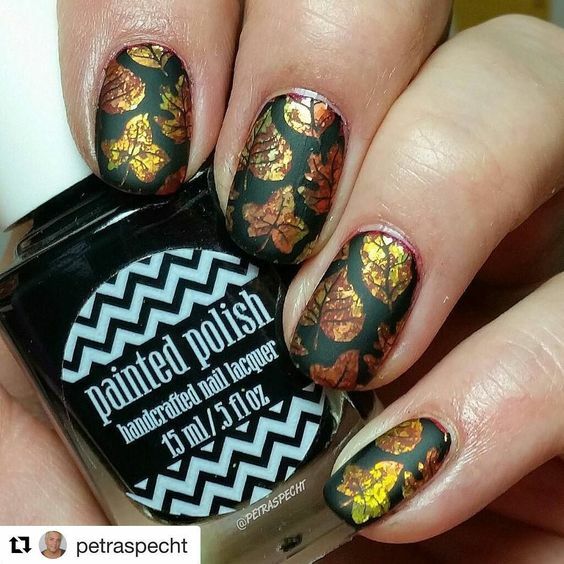 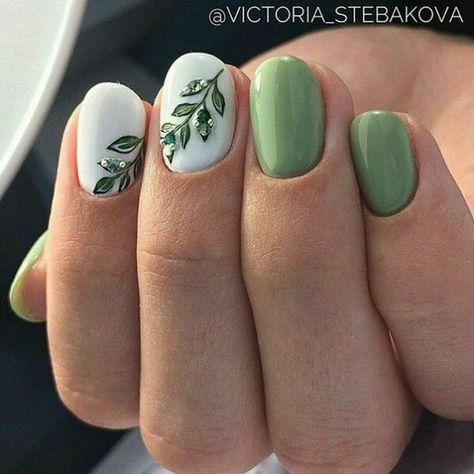 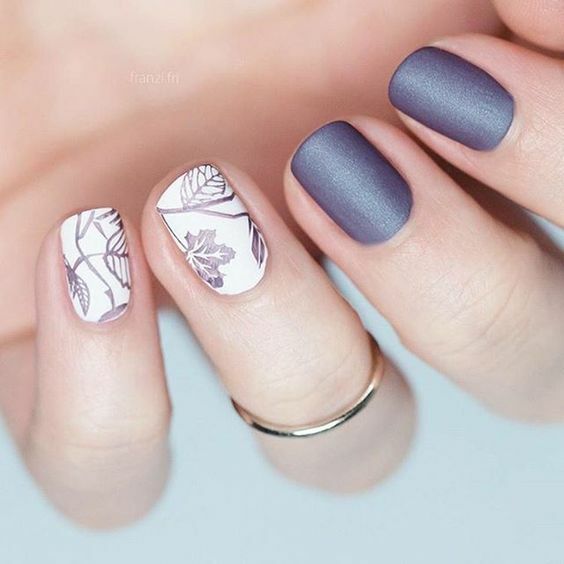 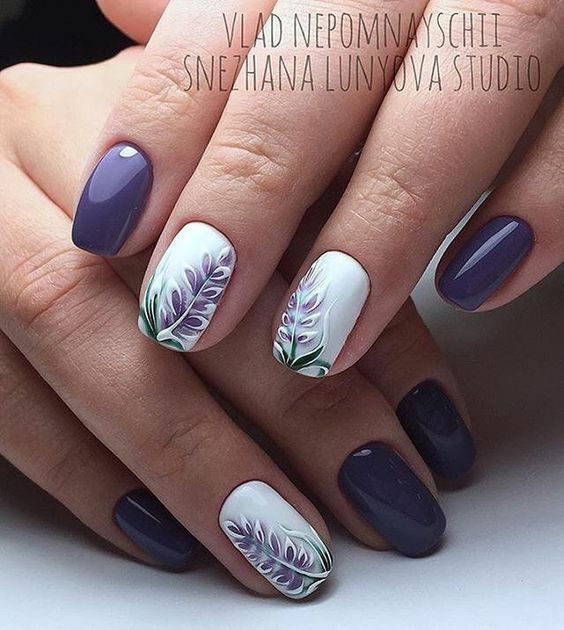 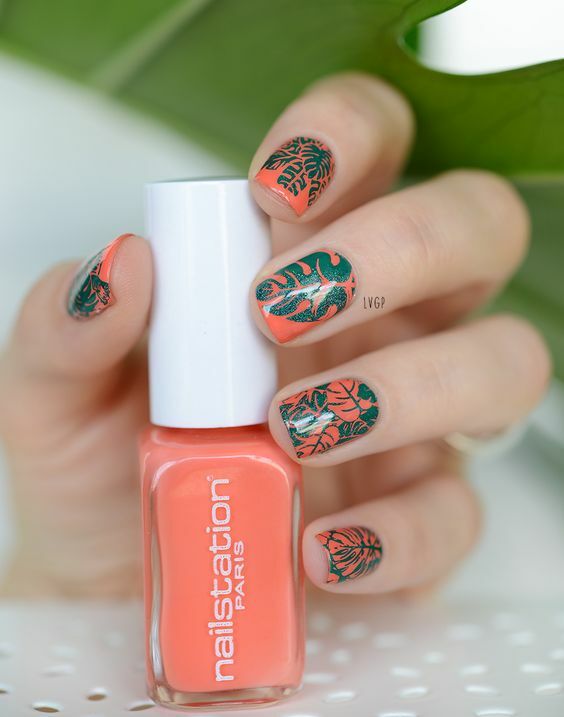 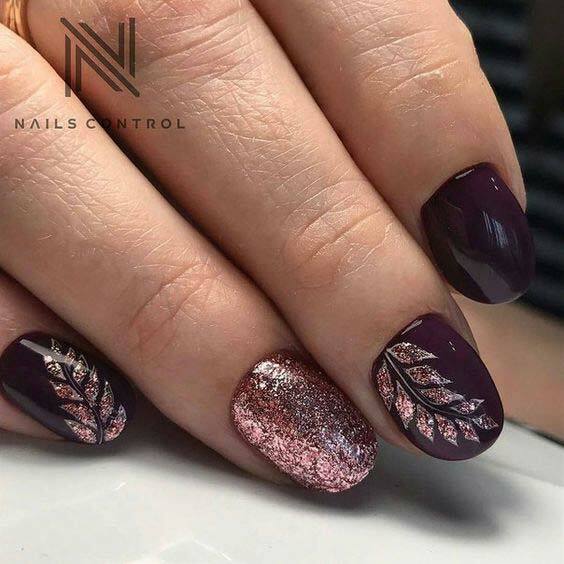 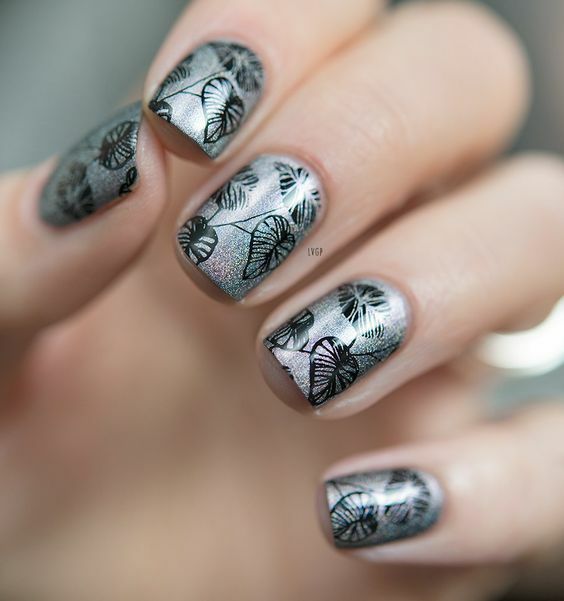 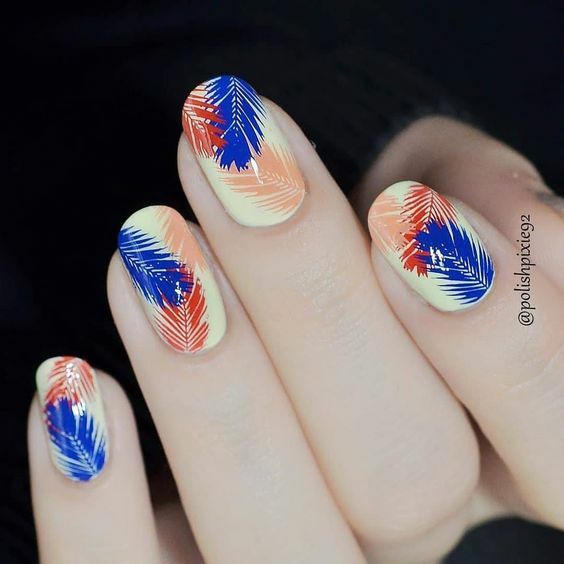 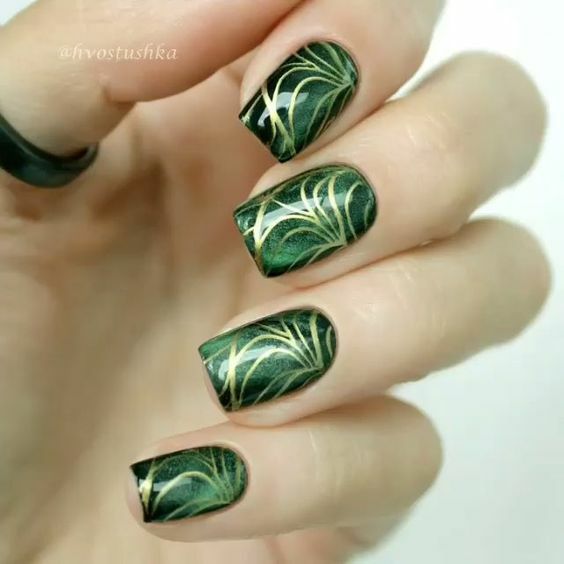 Just like in nail art, leaf designs are always a hit to all types of enthusiasts. 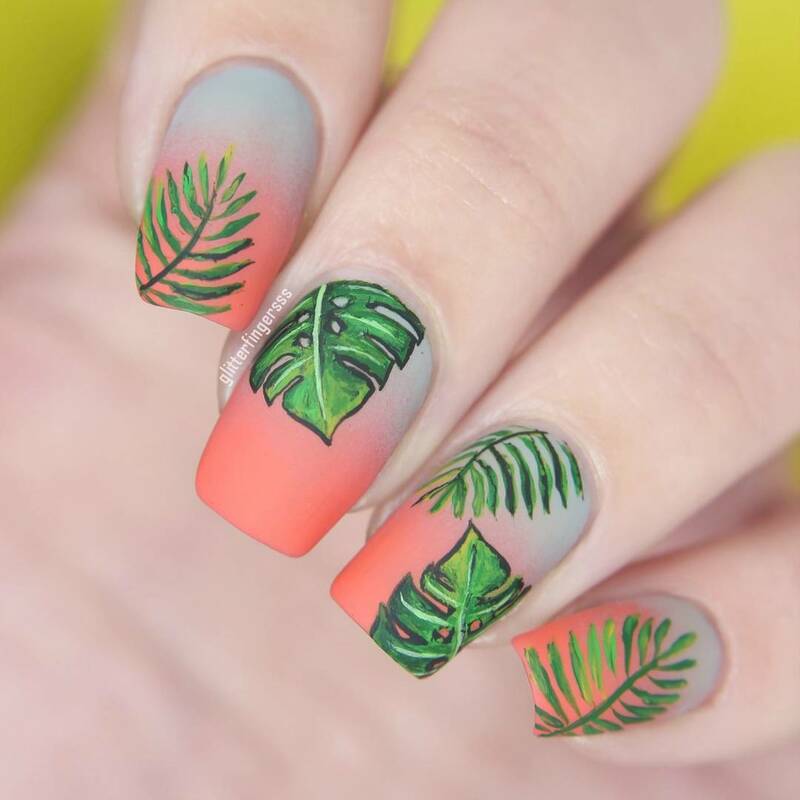 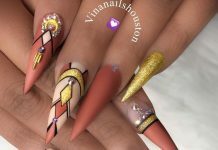 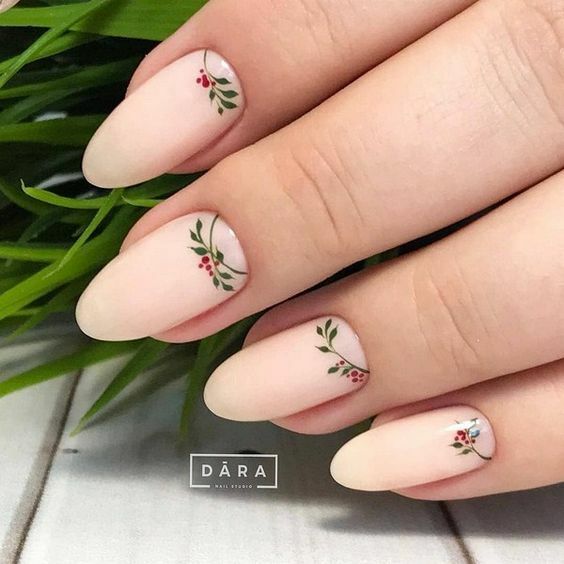 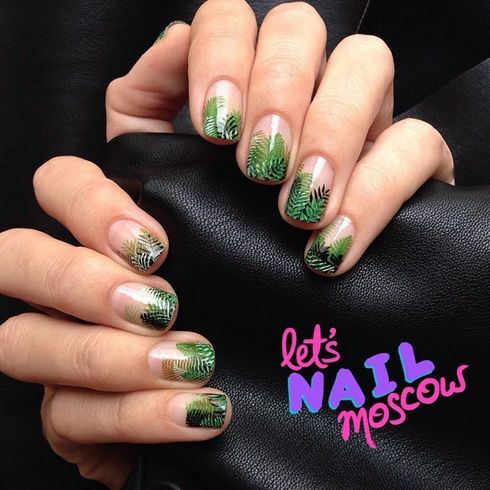 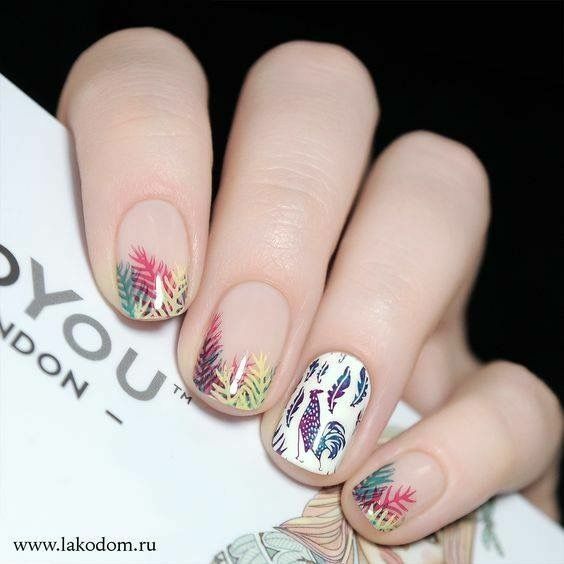 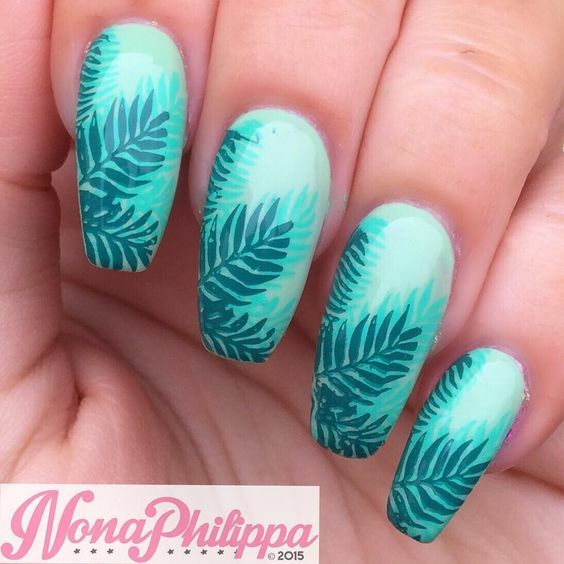 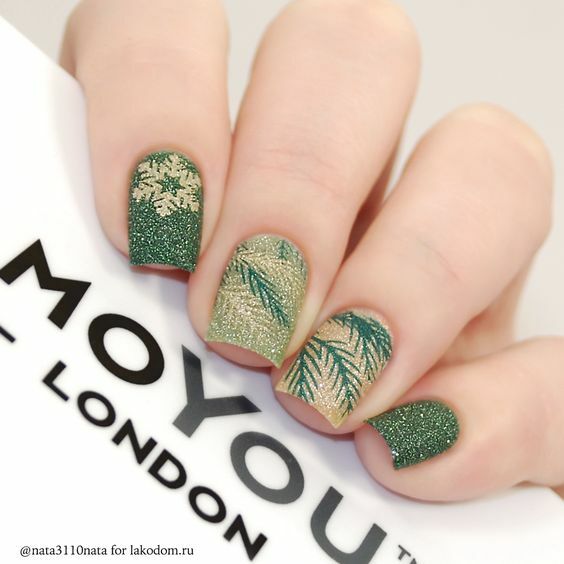 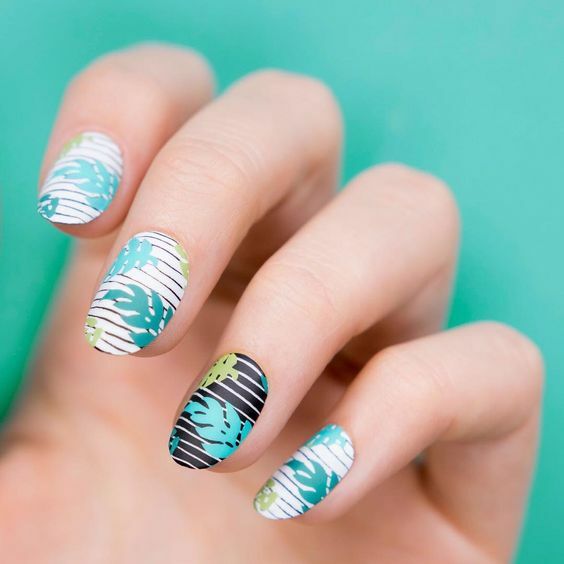 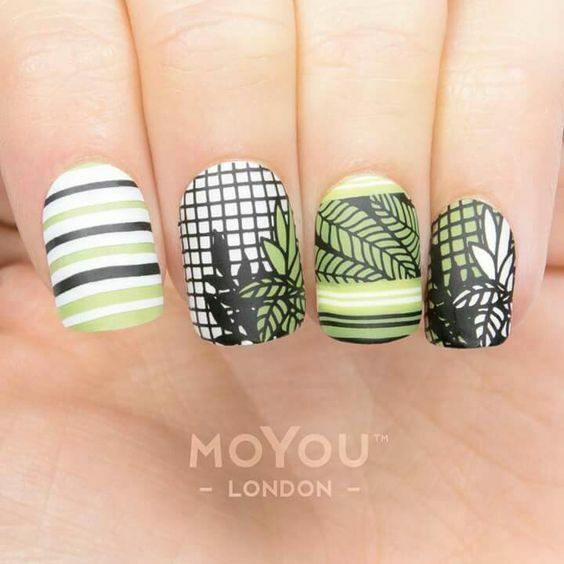 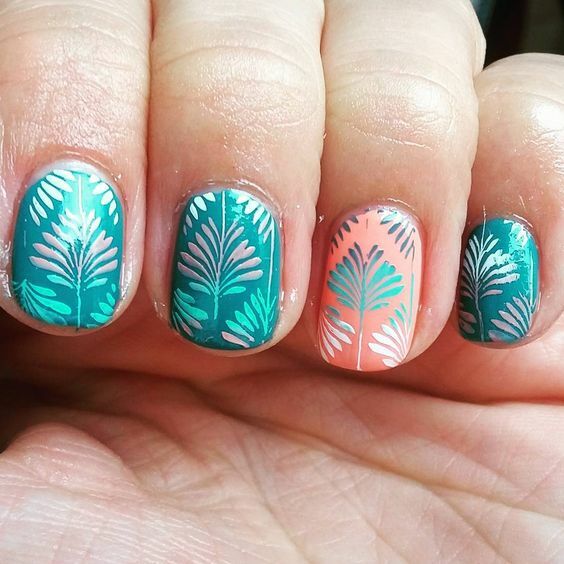 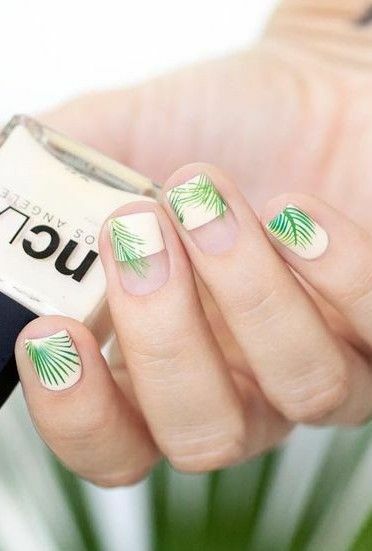 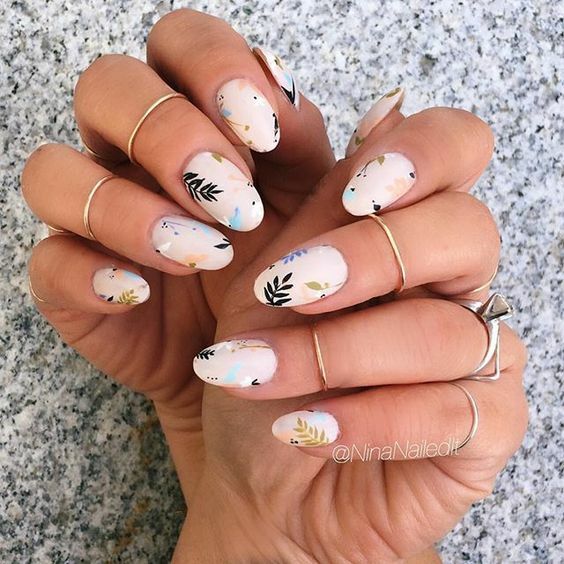 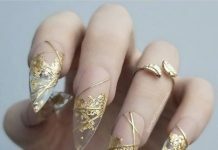 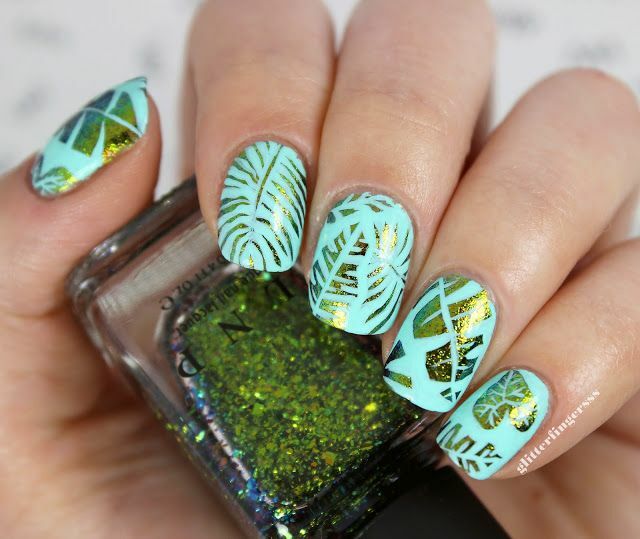 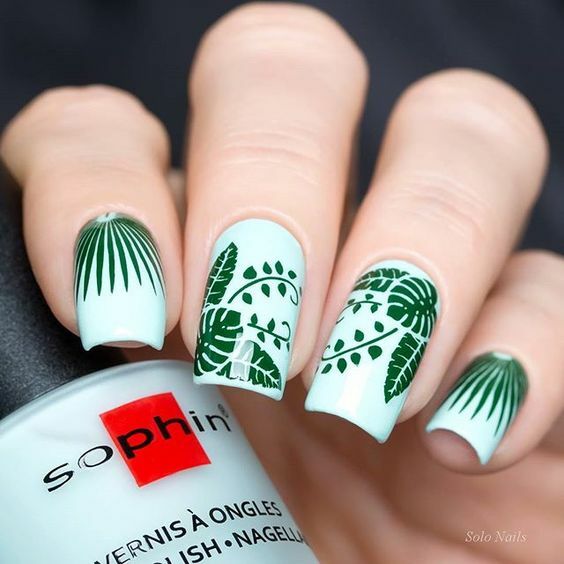 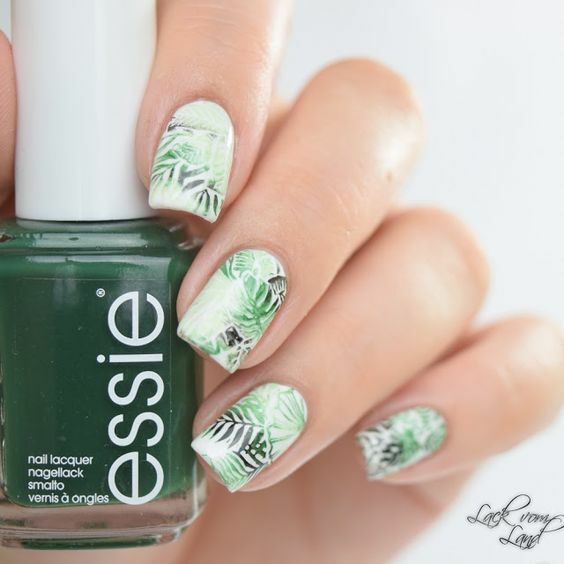 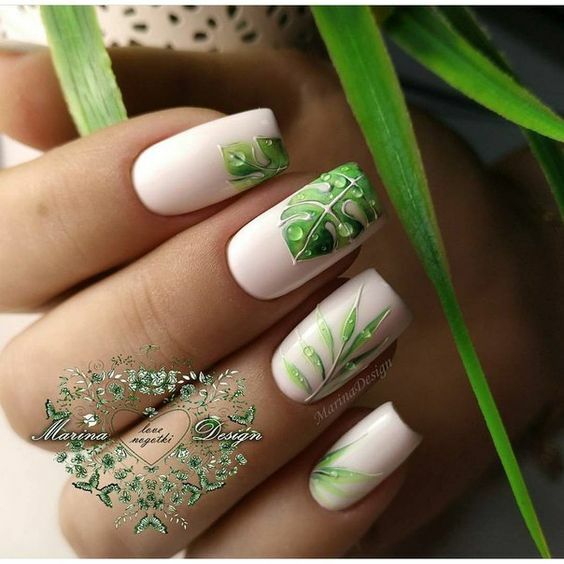 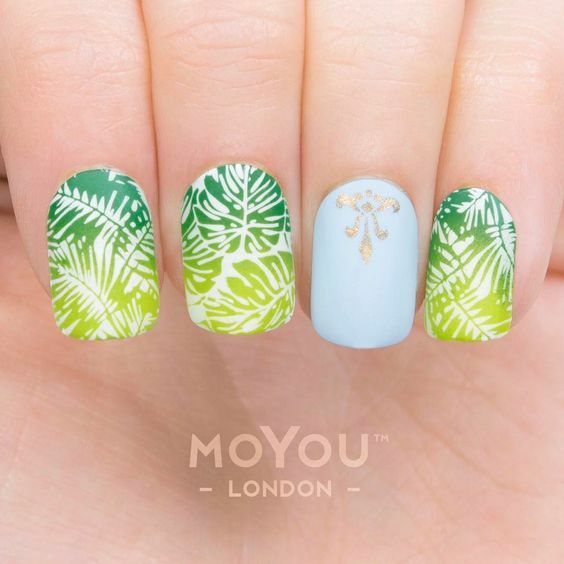 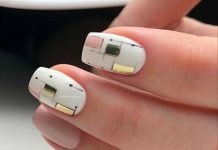 We see nail art designs with palm fronds, cannabis, maple leaves, and ferns. 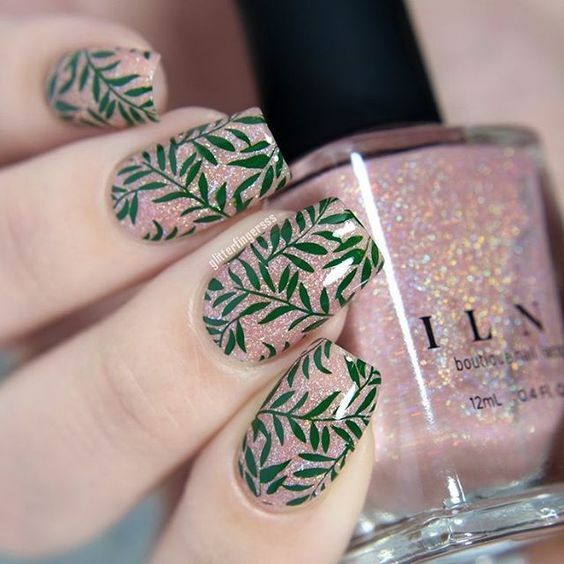 All these leaf designs are so fresh and cool to look at—its like nature itself is within the created art. 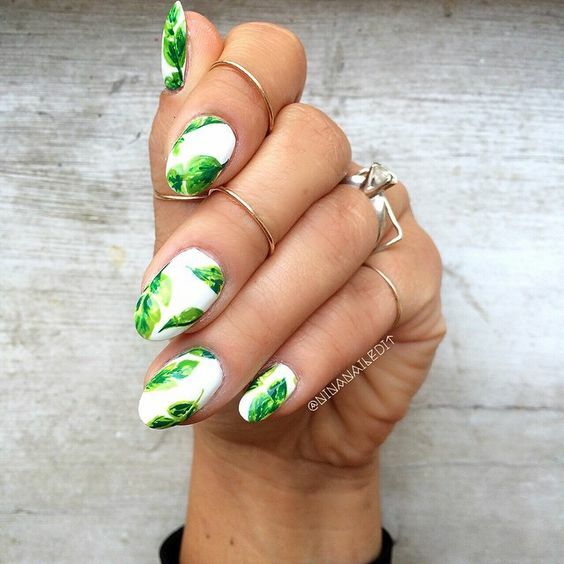 38 of these freshest leaf nail arts are gracefully shared by free-spirited people around the world through the web. 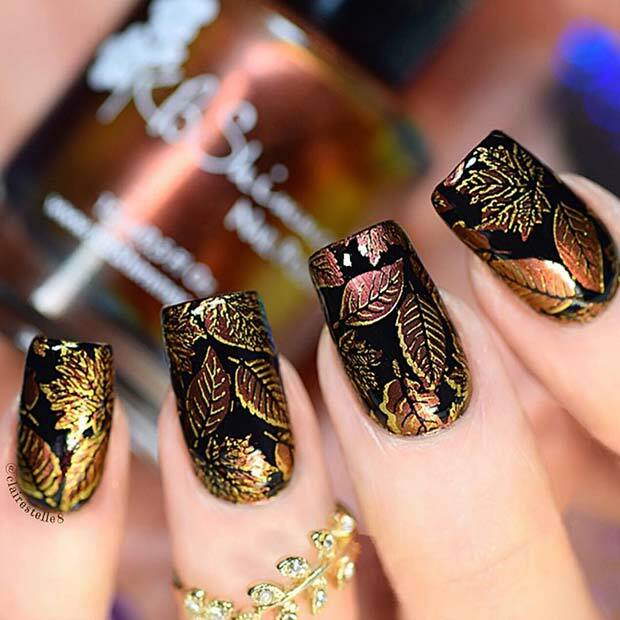 Let us celebrate the beauty of life together as we browse on these awesome samples in line for us today.